The counting would be supervised by 68 returning officers, one for every constituency, and web-casting, video- graphing and CCTVs would be used at all counting stations. 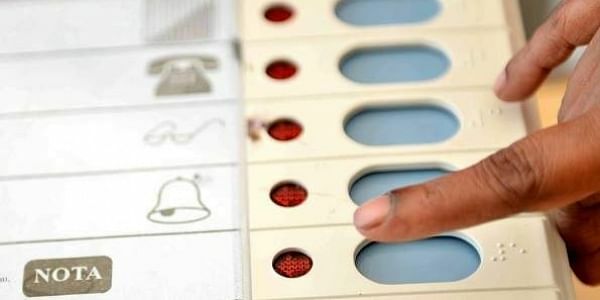 SHIMLA: The counting of votes for all 68 assembly constituencies that went to polls on November 9 would be taken up on December 18 at 42 counting centres simultaneously and the results are likely to be declared by noon, an official said. A total of 781 counting tables have been set up at these 42 counting centers where 2,820 officers would be deployed for counting of votes, including 940 supervisors, 940 counting assistants and 940 micro-observers, Chief Electoral Officer, Pushpender Rajput said. The counting would be supervised by 68 returning officers, one for every constituency, and web-casting, video- graphing and CCTVs would be used at all counting stations. One polling booth from each constituency would be selected by draw of lots for counting of VVPAT slips, he added. Three-tier security arrangements for the whole process have been made and there would be a total ban on mobiles phones at the counting stations, he said. A highest ever polling of 74.61 per cent was recorded in the state in 2017 assembly polls and women outnumbered men in polling by about 1 lakh votes, the official said. There were 337 candidates in the fray including 19 women with BJP and Congress fielding candidates from all seats. Counting for all the five assembly segments of Chamba district including Churah (SC), Bharmour (ST), Chamba, Dalhousie and Bhattiyat will be held at Government Millennium Polytechnic College Chamba while counting of votes for Lahaul and Spiti would be taken up at Bhuntar. The counting would be held in the Tehsil headquarters in 42 constituencies while counting of 26 constituencies would be held in adjoining sub-divisional headquarter, according to officials. The administration is feeling relieved as the MeT office special weather bulletin has predicted dry weather in the state on December 18 even though the minimum temperatures would stay two to three degrees below normal.